One of our operators will gladly schedule a convenient time for one of our consultants to carefully evaluate your furniture or draperies at your home. Our upholstery and draperies consultant will then provide free pickup, and free delivery of your furniture or draperies with absolutely no extra pickup or delivery costs to you. 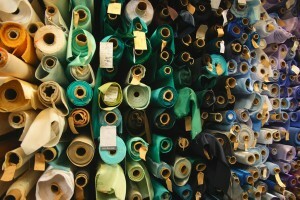 Stop by our Showroom and take a look at our Fabric Selection of over 3000 rolls to choose from. We recommend that you bring photos of your furniture and dimensions if possible to help us point you in the right direction. You can always bring in the project yourself if you would like faster service. If you have particular colors or swatches in mind that you would like to match please bring those with you as well. If you have any questions before you come in please do call us. We are located at on Rt. 1 in the same shopping center as Elsies Magic Skillet Restaurant.